LUCAMA, N.C. – Southern National Motorsports Park will host 16 different events next year. The four-tenths-mile oval will host at least two races or events each month, with the exception of August, from March through October. The season will get underway on March 3 and concludes with the traditional season-ending three-day Thanksgiving Classic from Nov. 23-25. The 2018 season will mark the return of the Limited Late Model division, which has been absent from the schedule for the past three seasons, with the exception of special events. The Late Model Stock Car division will also see a change in 2018 – running out of the NASCAR Whelen All-American Series Late Model Stock Car rulebook. In addition to racing, Southern National will host a Monster Truck Show, which will be accompanied by a demolition derby, on June 23. The Day of Destruction, which was a success last season, will return on Oct. 29. On July 7, Southern National Motorsports Park will host a 12-hour Enduro race, starting at 8 a.m. and running until 8 p.m. 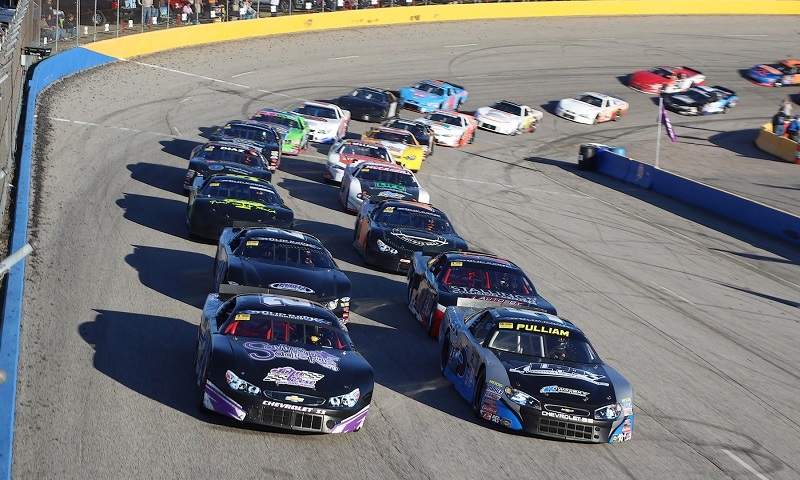 The season opening race will feature 150 laps of racing for the Late Model Stock Car division on March 3. Late Model Stock Cars will also race on April 14, May 26, July 28, Sept. 28 and will highlight the Thanksgiving Classic on Nov. 25. Limited Late Model races during the regular season will be held on March 13, April 28, May 5, June 2, Aug. 18 and Sept. 22.